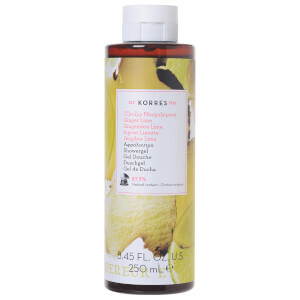 Maintain your skin’s natural moisture levels, while cleansing it with KORRES Guava Showergel. 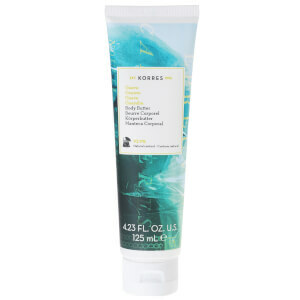 It’s a creamy foam shower gel with an invigorating blend of tropical fruits that smells delicious! After using Guava Showergel, follow with Guava body butter to achieve deep hydration and retain the fragrance much longer. I am at a complete loss for words at the hundreds of good reviews that I have read about this scent. The products are good BUT this does NOT smell of tropical fruits. It has a mild floral smell which though not unpleasant is in NO way tropical. If you want products that actually smell of tropical fruits try Essano’s coconut oil range (smells of pineapple, coconut, mango etc..) or Pacifica’s Hawaiian Ruby Guava range which smells good enough to eat. Usually I have troubles taking showers during summer, because they add lots of chlorine in water and I have terrible itching skin after every shower. This shower gel helped me to get rid of this nightmare. Will buy again. Thank you! Smells amazing, feels amazing. The fact that 90% of it is made from natural ingredients really means you can feel the difference. There is no drying out of the skin either. Def recommend this product! Excellent brand, quality products, lasting scent, value for money, going to buy the whole range!! I received this in the Nov Beauty Box. I loved loved loved it! It was a real treat and when I looked up the price of a full size I was pleasantly surprised it is very reasonably priced for a luxury product! I will probably try a different scent next time just for a change! Love this product and the matching scent body cream. Smells divine and feels great too! Love this showergel. It smells divine and leaves my skin feeling clean, but not dehydrated. Recommended. Love this shower gel, it's rich and creamy, lathers well and makes great bubbles if you use it in the bath.